Do I need to explain what cryptocurrency is again? YES, this is because there are still some craving souls out there who wish to know more, or who are new to this excellent innovation. Maybe you are one? This is for you. A veteran finance professional would rather love to put it this way; 21st-century unicorn, or the potential currency of the future? According to Investopedia.com, Cryptocurrency simply means a decentralized “digital or virtual currency that uses cryptography for security,” this makes it fraud-free; impossible to be duplicated since it is not issued by a central authority. It’s hard for corrupt government officials, thieves or any powerful agency to take it away from you; you own your invisible wallet. To add with, it can be seen as a medium of exchange like normal currencies such as USD, YEN, NAIRA, EURO or POUNDS just to mention a few, which is typically designed digitally i.e. everything about it, ranging from transaction, to acceptance and all other steps a valuable token could go through are made possible with just abstract value (digit). Today, it will be an understatement saying cryptocurrency is still a dream or fantasy, in view of the fact that, this amazing innovation has become a global phenomenon known to most people. Although, it is still somehow geeky and not understood by some people, although institutions like banks, financial establishments, and governments to mention a few are aware of its importance. 2016 was a memorable year for cryptocurrencies; Crypto has come to stay, and it’s for the good of the masses. In this write-up, I’m glad to introduce to you “ an heir to some thrones” (Spotcoin), as I’m confident this trademark will soon be a global innovation that will be generally accepted both by the young and old, this is because of some great and creative innovation it comes with. 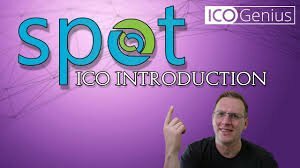 Spotcoin is a new brand of ICO whose purpose is to create a financial marketplace where users are free to trade both fiat and digital currencies. Accepted methods of payment include NEO, BTC, ETH, GAS, SIB, USD, EUR VISA and MASTERCARD. 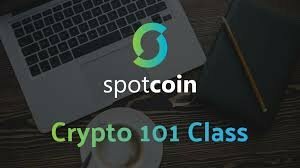 Spotcoin is a financial establishment created by some intellectual individuals, based on some functional advantages which include: research, education, and innovation. And, it specializes in transactions between cryptocurrency and fiat. One of the ultimate reasons for establishing Spotcoin is to meet the increasing demand for digital transactions, as most adopters and investors do find it difficult converting digital currency to fiat currency. Our user-friendly interface gives you the best experience and our main “Goal” is to create a simplified digital asset ecosystem. In addition, we are dedicated to adding a mining operation that uses renewable energy, a digital exchange platform and a payment system called Spotpay to our story. We are dedicated at building an all-encompassing kit for investors to be able to access the advantages of digital assets; this is why our growth and expansion is speedily reaching out even to a normal man out there. Also, we have laid down a dream to build a Blockchain Institute, simply to offer training and research in the field of blockchain technology. This new institute will surely provide some great opportunities for curious students and the whole community at large, to further learn about blockchain and its uses. We see the world is technologically improving on a daily basis, and the help we could offer is to improve some knowledge pools, and we wish you are among the beneficiaries. Amazingly, Spotcoin processed over $1M in just two months in trades, after its being launched in November 2016. 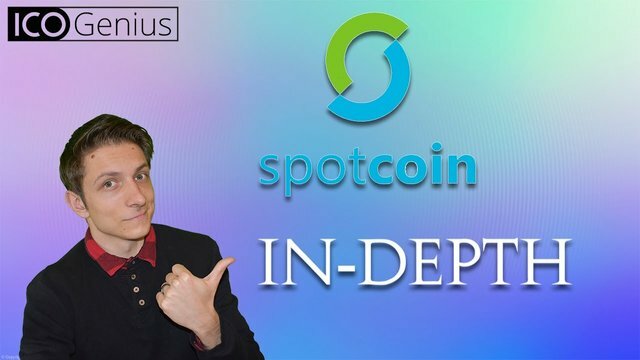 Today, we can’t just say cryptocurrencies are countless, but it is right to say, the increasing number of crypto establishments is hindering the popularity of each new crypto founded with good intention and framework; Spotcoin is an example here. Spotcoin is already a part of the smart economy. Having matured as a market leader in the Black Sea Region; conducting over $10M in OTC trade volume in 2017, we had a successful year, generating $1M in seed funding and has improved the company’s employees from 3 to 27. Spotcoin is in the process of raising up to $30M through its token sales, and tokens will be for sale at $0.50 to start with. Token distribution is being scheduled for mid-July, 2018. And, all SPOT holders are in no doubt entitled to dividends based upon transparent, equitable and audited results, as 51% of the trading fees gotten through digital exchanges will be paid to token holders along with 12% of net profit from Spotpay, mining and OTC businesses. Spotpay is the advanced payment system under construction, and will soon be achieved. It is designed to offer quick, low cost, and secure transactions using a payment widget or an API based wallet. This is a design to provide a centralized liquidity between our digital asset exchange, over-the-counter marketplace (OTC), and mining operation. With plans, Spotpay system is meant to be juxtaposed with Spotcore technology for instant payouts. Presently, Spotpay has a goal; $1M per month in transactions and this is hoped to be achieved by the end of 2020. Do you have a dream? You need a financial freedom, whatsoever your dream may be; then, you have got to join us, as we are ready to be part of your dream. Tomorrow starts today, let’s achieve it together, we are both in the same shoe, it is best done together. Our digital asset exchange focuses on a simple user-interface providing not only regional but also global fiat currency trading pairing with four core digital currencies: BTC, ETH, GAS and SIB. After we had a formal partnership agreement with the Georgian Mining Company, we were able to have successfully designed and initiated an outstanding and environmentally friendly $3.25M worth facility, using a hydroelectric power scalable up to 25MW. To add with, our newly made facility will house about 2,250 GPU miners with the capacity to host up to 9,000 additional units on behalf of both potential and existing clients. Our Spotcoin is a NEO based token. When comparing the amazement NEO has placed on some crypto organizations, then, it can be compared to the most common ERC20 Ethereum token. NEO tokens are speedily growing in popularity, and this assured us of a bigger future. The NEO platform has offered a great functionality for so many, and will simply do the same for Spotcoin. NEO is an open source, non-profit and community-backed blockchain platform whose aim is to create a distributed network “Smart Economy.” It’s all about cryptocurrency. NEO is ideally the most suitable platform that we are confident it will best support Spotcoin’s vision for the future. Co-establishing with such organization is a good step to follow. NEO is also an organized community that is known for incorporating exceptional digital identities, it is ideally suited to satisfying a tag “know your customer” and the organization is full of anti-money laundering professionals that could help you with your funds. NEO’s founders value any existing legal and regulatory frameworks; mainly to bring real-world assets to the blockchain. They have got an exceptionally good intention towards their customers, as they are always up to better the lives of any blockchain lover out there. We (Spotcoin) are excited about this vision and as we are committed to allocating some parts of our company’s resources to support NEO’s goal of 100,000 Transactions Per Second by 2020. Our company was founded on the core values of amazing integrity, exceptional transparency, lovely responsibility, and absolute trust. We are happy to put ourselves on the SPOT, as we are capable of serving institutional investors, miners, merchants, professionals and retail traders. As part of our pledge to make digital currencies work for everyone, we have more digital currency business connection than any other digital currency establishments. Get out of your illusion, friend! 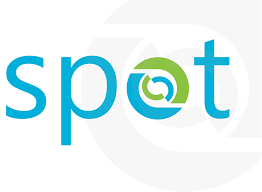 Cryptocurrency is the next BIG thing, and Spotcoin is on course. highly recommended to invest in this project. they will give not one but two dividends. 51% dividends from exchange fees and. 12% dividends from company net profit weekly. 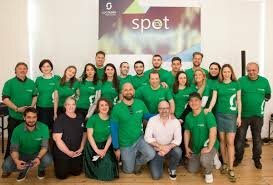 spotcoin will be a leading fintech company in future.